Bank earnings season kicked off today with Wells Fargo&apos;s announcement, and since I have nothing really to say about Wells Fargo earnings I figured the least I could do was put up some charts instead. Not on earnings - they&apos;re up! net interest margin is down! on balance, gnash your teeth a little! 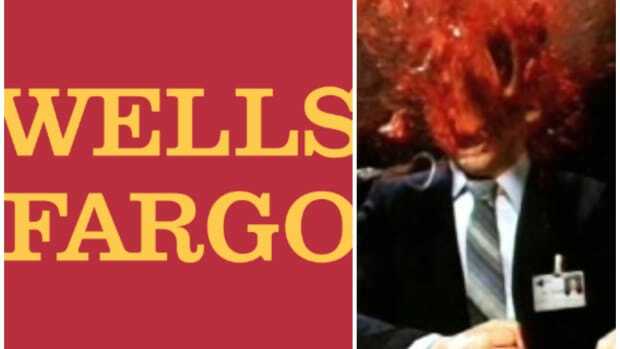 - but on what Wells Fargo is doing with all the money it&apos;s got. Banks aren&apos;t making lots of loans for some reason, with the reason ranging from "banks are a bunch of scumbags" to "you&apos;re all a bunch of deadbeats." So they have money left over. So they put it somewhere. The darker line represents what percentage of its money Wells using to fund risky economic activity (making loans, buying securities, etc. ); the lighter line represents that plus the money Wells is using to fund government-guaranteed mortgages, which arguably supports economic activity too but is kind of cheating since, y&apos;know, government guarantee. Is this decline in risk-taking good or bad? Well the thing about banks is everything they do can be measured on two axes - safety vs. risk and "hoarding cash" vs. "funding economic activity" - and since those axes are kind of two different ways of saying the same thing everything is both bad and good in equal measure. The above charts, I submit, argue that Wells keeps getting safer,2 which is sort of good, but also transforming each dollar of deposits into fewer dollars of economic activity, which is bad. One objection that you might have to that breakdown is that trading securities is risky but does not fund economic activity, and so is Just Plain Bad. I would disagree with you - I&apos;m a big fan of secondary markets - but it&apos;s a thing you could say. 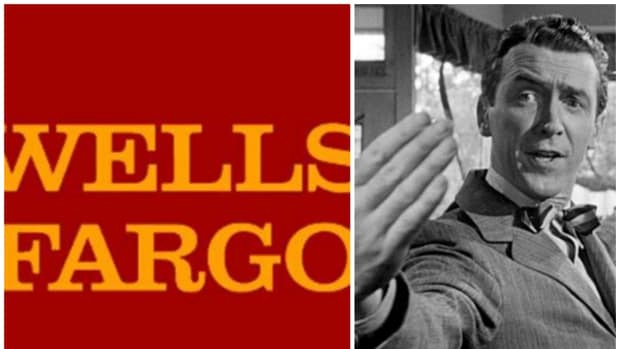 If that&apos;s your line of thinking, you might worry that Wells Fargo is a secret giant hedge fund, as Jesse Eisinger and Frank Partnoy and Zero Hedge all sort of do. Is it? Still, if Wells is a giant hedge fund, it&apos;s a pretty boring one: its increasing securities holdings are overwhelmingly in the sort-of-risk-free form of Treasuries and agencies rather than anything that might move out the risk curve and, y&apos;know, increase its NIM. I suppose there&apos;s something to be said for that approach, since Wells Fargo, by skill and temperament, is perhaps not the best situated entity in the world to take massive investing risks. On the other hand, it&apos;s got some things going for it if it ever decides to get into that game. Like more cheap funding than it knows what to do with. Meanwhile, deposits keep flooding into banks from people like Peter Kelly, a commercial- real-estate broker in Fort Collins, Colo. Mr. Kelly received a $10,000 dividend check last month from Verus Bank of Commerce after the community bank accelerated the payment of its 2013 dividend to avoid tax uncertainty. 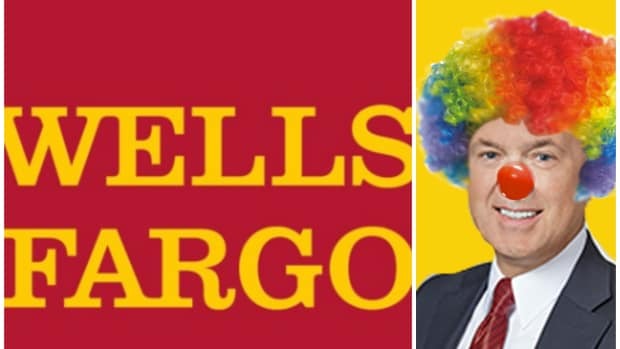 ... Mr. Kelly, 38 years old, deposited the check during a cocktail party that the bank threw for shareholders at its main office. ... "I want to make sure that I have money in the bank so they can turn around and perform with it," Mr. Kelly said. I submit to you that deposits are not "flooding into banks from people like Peter Kelly." There are too few people like Peter Kelly, who is both a patriotic American happy to do his part to help the economy grow, and a guy who goes to bank cocktail parties. Even as Wells gets stuffed with unwanted deposits, it still manages to be more equity-funded than it used to be; the deposits are replacing more expensive and, let&apos;s just assume, more flighty debt instead. 3.When I say "AFS securities" in that chart I mean all AFS securities, including Treasuries and stuff. Are AFS securities, like, stodgy banking activity or wild-hedge-fund activity? I feel like pre-Whale you&apos;d say the former, post-Whale it&apos;s a bit more open to debate. As it happens, all it took was shuffling some boardroom chairs. Somewhere out there, a suddenly wealthy unemployed bank manager is living his worst nightmare. 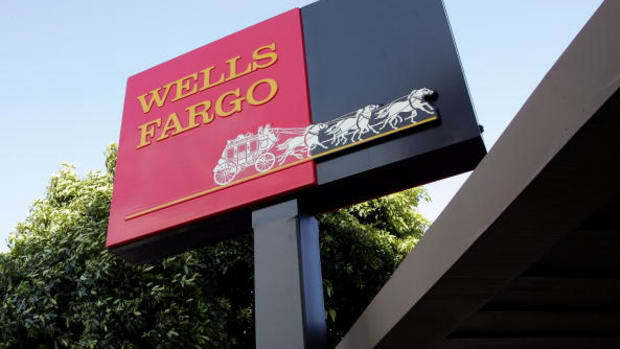 Wells Fargo is failing tests like a hungover freshman who can't even read.